Steffes offers standard and custom-built separators and heater treaters and other vessels. 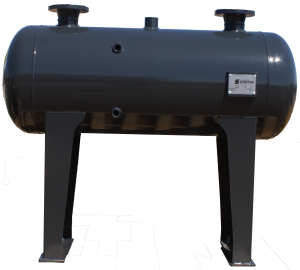 Whether you need a horizontal or vertical configuration, we have the engineering and manufacturing capabilities to customize your separators and heater treaters to fit your site requirements. Our systems are modular, so you can customize each piece or purchase a pre-assembled product. 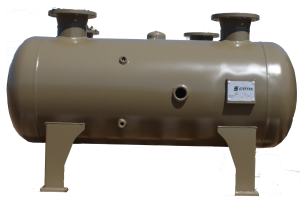 We are an ASME Pressure Vessel Code Shop with U, UM and R stamps, so you can trust our products are quality tested, safe and ready to perform. 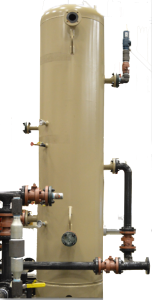 Steffes offers two and three phase separators in horizontal and vertical configurations. Steffes Heater Treaters are available in horizontal or vertical configurations. During operation the treater uses a fire tube to add heat to the emulsion which aids in the separation of oil, gas, and water. Our 6×20 vertical heater treater has an optional adjustable weir to change the water-oil interface. Internal coatings are also optional. 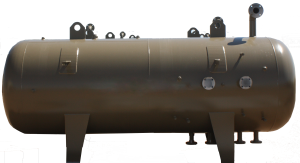 Steffes manufactures a variety of additional ASME Pressure Vessel separation units to assist preventative maintenance and increase well site production efficiency.